The Primary Peach: A Teaching Pot of Gold: The BEST Leprechaun trick ever! 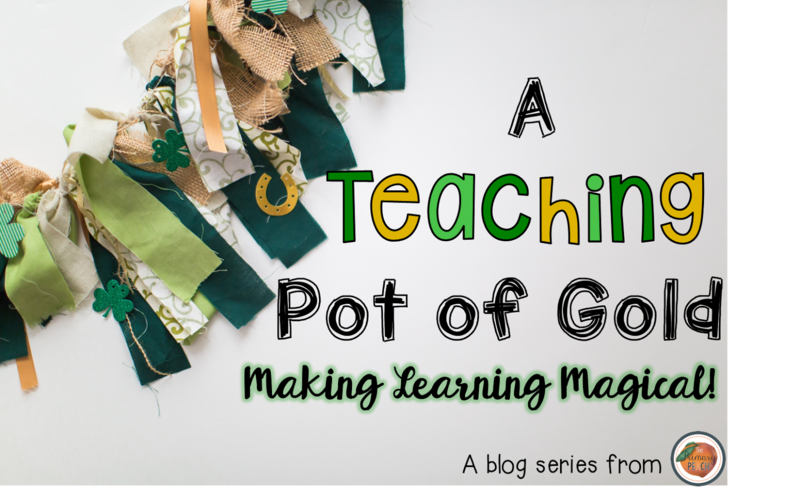 A Teaching Pot of Gold: The BEST Leprechaun trick ever! Are you ready for St. Patrick's Day?? I know some of you are excited for the 17th! 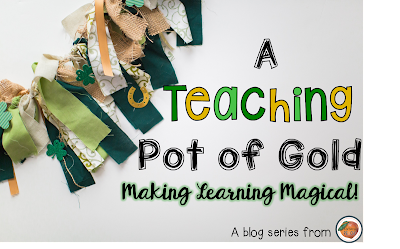 I have worked with some teachers who go over the top with leprechaun craziness....knocking over desks, sprinkling green glitter everywhere, and even turning the toilet water green! WHAT?? I am not one of those teachers, the thought of making a mess in my room on purpose makes me want to cringe. 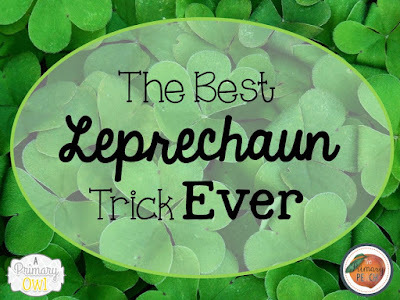 However, I have never wanted my kiddos to miss out on a little leprechaun magic. I have been doing this little trick for years and it's the easiest and best idea ever! Even my third graders have loved this in the past! 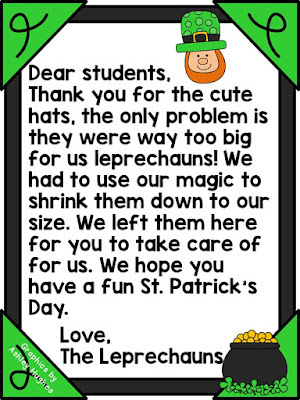 Tell your students on the day before St. Patrick's Day that you are going to make hats for the leprechauns. Have them decorate plain Styrofoam cups with marker (permanent markers work really well) and leave them out for the leprechauns that night. Take them home with you and place in a 225 degree oven for about 15 minutes. You really need to keep a very close eye on them because once they start to shrink, they go fast. 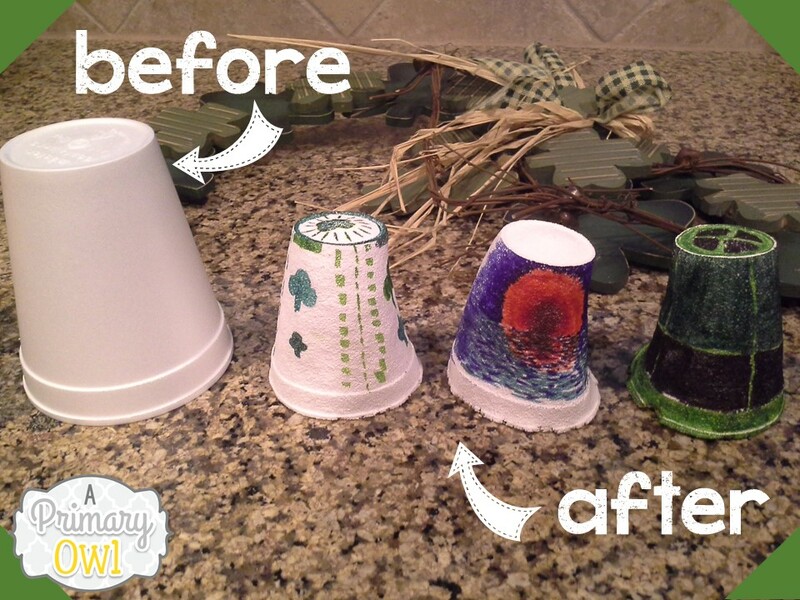 You may want to test out a few plain cups before shrinking your student's cups. Your students are sure to go crazy wondering how their cups got so small! It's absolutely magical! Happy St. Patty's Day everyone!